Whether you’re active duty, a veteran, National Guard or Reserve, you and your family can use the GI Bill® Comparison Tool to learn how your veterans educational benefits apply at the schools of your choice. It’s a simple way to do an online comparison. Just select a school to see an estimate of your benefits, availability of on–campus veterans programs, retention rates for veterans, average salaries and student comments. 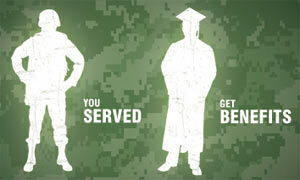 It also provides school accreditation information and if the school offers college credit for military service. Then check here to see if you’re eligible for additional educational benefits through the Forever GI Bill–Harry W. Colmery Veterans Educational Assistance Act signed into law August 17, 2017.